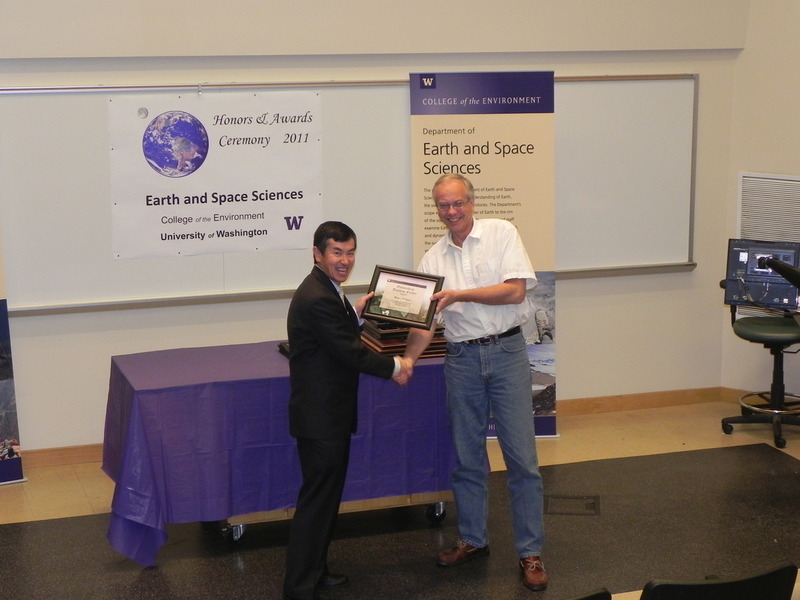 The 2011 Honors and Awards Ceremony was held on Thursday May 19th at 3:30 pm in JHN-102, hosted by ESS Chair Robert Winglee. There were numerous honors, awards, and scholarships given during this ceremony before adjourning to a reception in the Johnson Hall Courtyard. 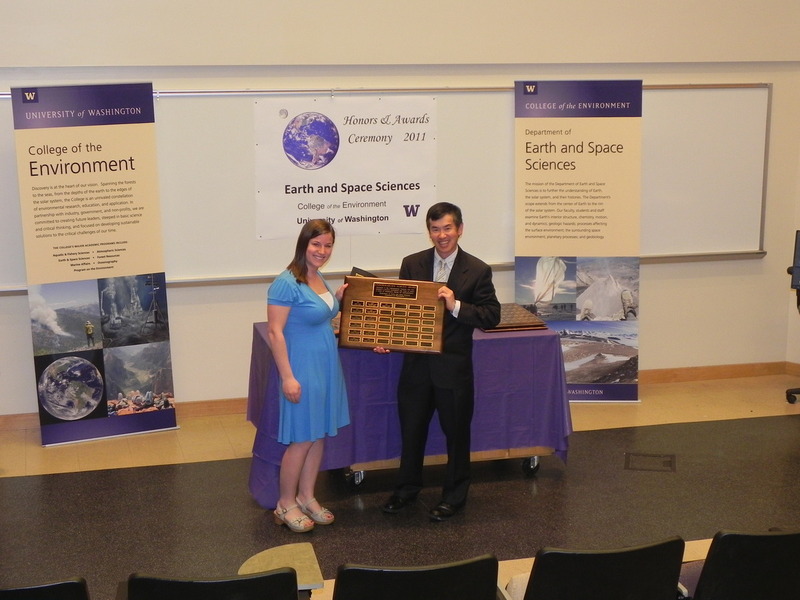 Rebecca Teel receiving the Undergrad Service Award from Robert Winglee. 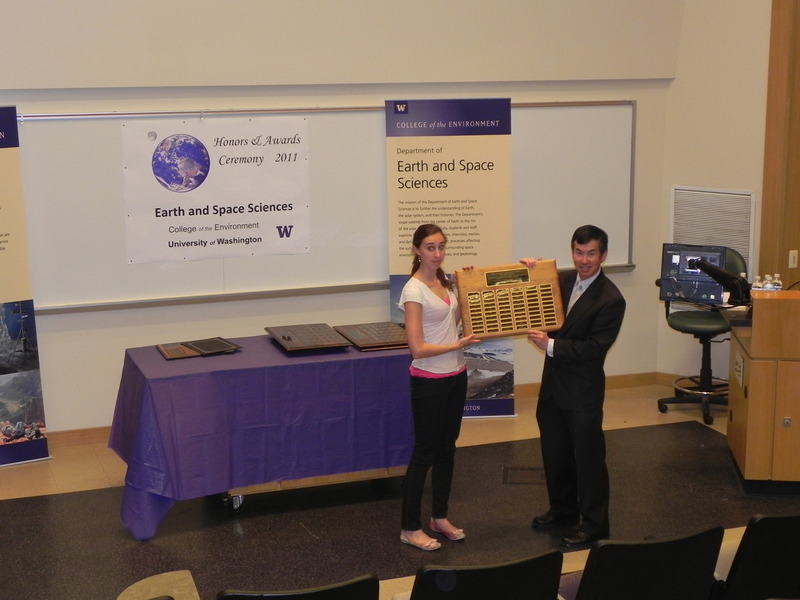 Breana Chavez receiving the Merrill Prize for Excellence for Ann Bauer from Robert Winglee. 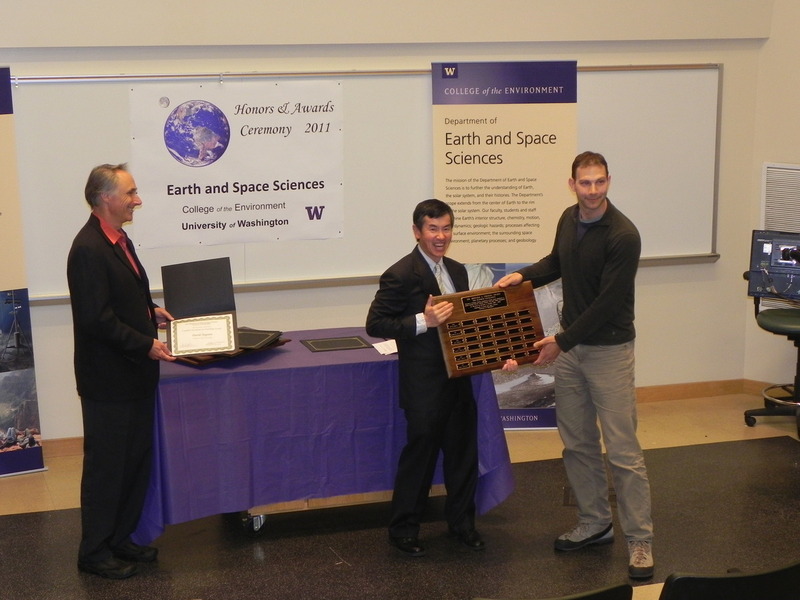 David Argento receiving the Coombs Excellence in Teaching Award from Robert Winglee. 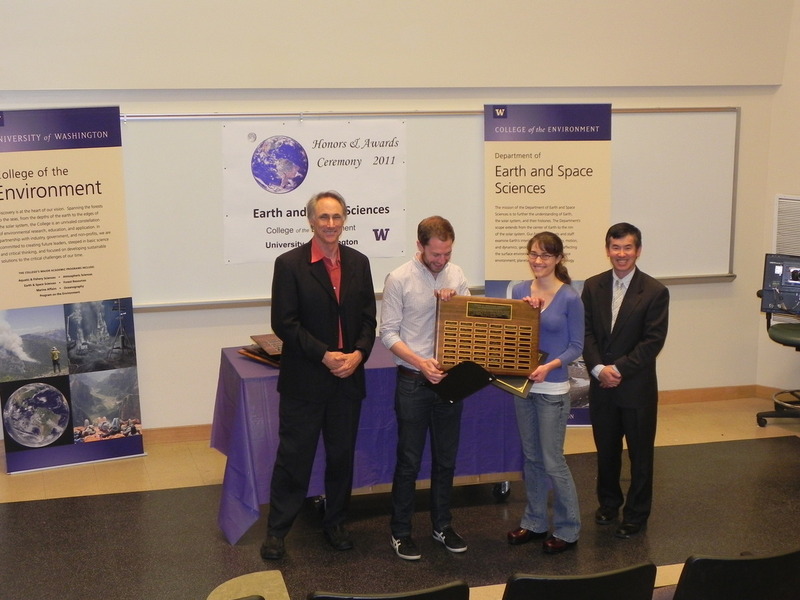 Michele Cash and Matthew Smith receiving the Johnston Prize for Research Excellence from George Bergantz and Robert Winglee. Karl Hagel receiving the Barksdale Service Award from Robert Winglee and Tucker Barksdale. 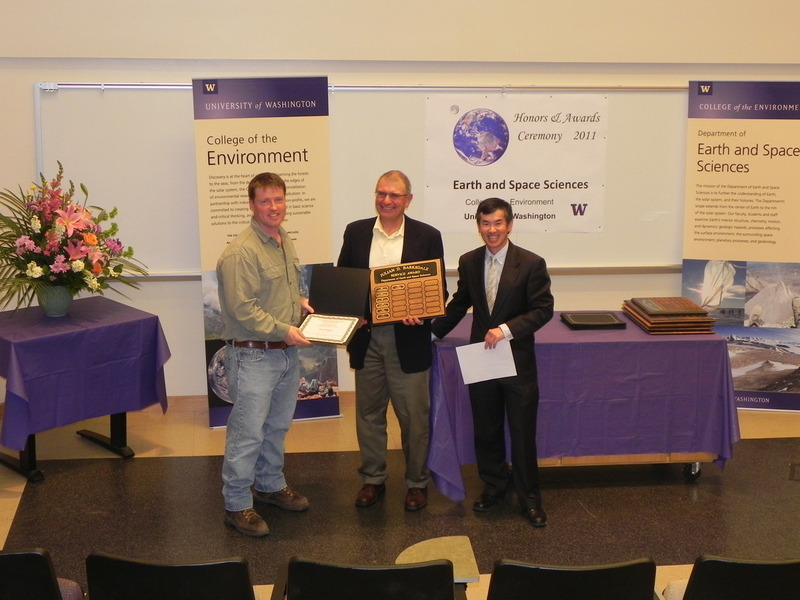 Bruce Nelson receiving the College of the Environment Teaching Award from Robert Winglee. 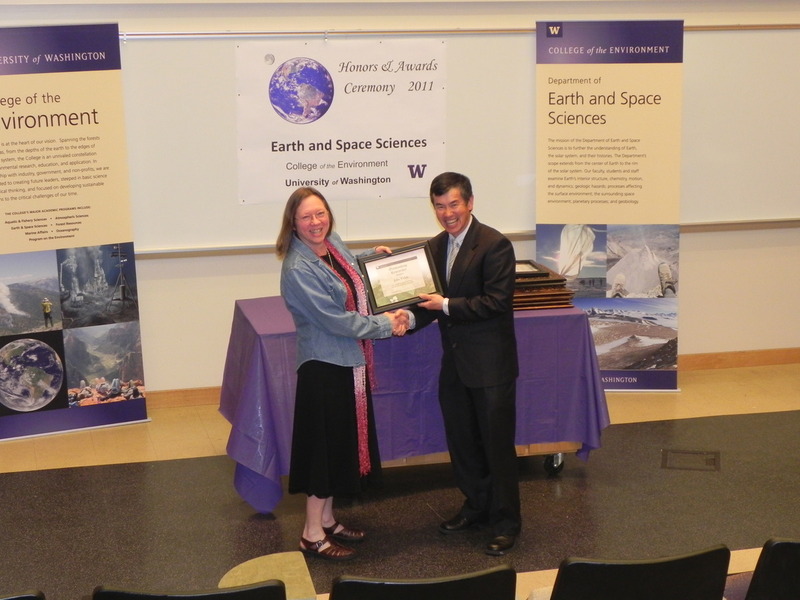 Heidi Houston receiving the College of the Environment Researcher Award on behalf of John Vidale from Robert Winglee. 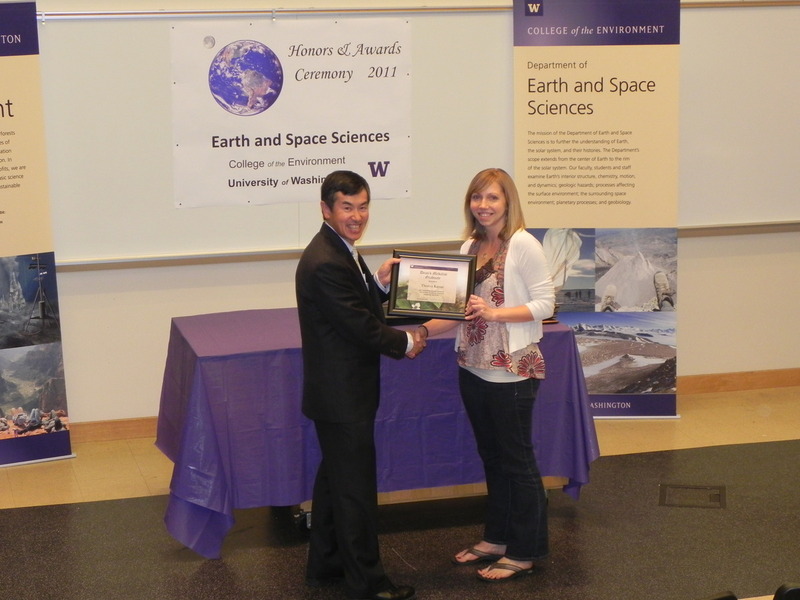 Theresa Kayzar receiving the College of the Environment Graduate Student Award from Robert Winglee.